Circular, ssRNA genome of 246-375 bases. 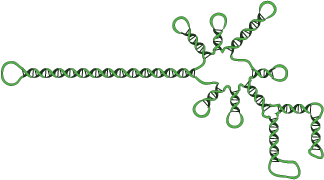 Most of the genome displays complementary strands. Replication occurs by symmetric rolling circle. This family is distinguished by the ability to self-cleave through hammerhead structures. The viroid genomic RNA is transported to the chloroplast.